Read our In-depth review of Teqworld TV and get best Teqworld TV Prices in Kenya. Know its origin, available TV models, features and specs including a updated price list. Though a relatively new TV brand into the Kenyan market, the TV is one of the most sold flat screen TVs in Kenya today. Go Straight To Teqworld TV Shop! One of the main reasons for its uptake is because Teqworld TV prices in Kenya are pocket friendly and come with incredible features. 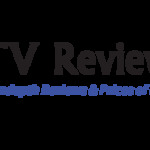 Though it is Teqworld TV, many Kenyans write it down as Techworld TV. 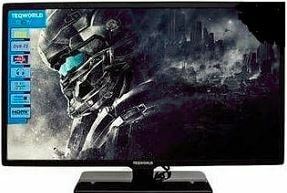 G24Z Teqworld 24 inch HD Digital LED TV See Prices! G32Z Teqworld 32 inch HD Digital LED TV See Prices! G40Z Teqworld 40 inch HD Digital LED TV See Prices! Teqworld is manufactured in Guangzhou China by Teqworld Electronics company. The company also manufactures other electronic household appliances. Though the company was founded in the early 90s, it became a TV manufacturer in 2015. Its main market is mainly in Asian and Africa with their main drive being ‘production of affordable TVs for every household. The TV began appearing in Kenyan TV shops in 2016. 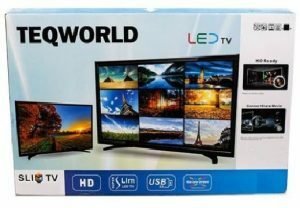 It is imported and distributed by Homelex Kenya Ltd. You can buy a genuine Teqworld TV in downtown Nairobi or online at Jumia Kenya TV page. The TV has great picture display regardless of screen size. For improved picture display, it uses superior LED display and HyperReal picture engine. You can also enjoy watching music videos, movies and TV shows in HD as they support HD. In fact, unlike other TV models in Kenya where more expensive models have HD display, the 24 inch TV comes with full HD display whereas the 32 inch and 42 inch have HD display. Full HD has a better picture quality than HD. Full HD has a picture resolution of 1920 by 1080 pixels with HD having a picture resolution of 720 by 1080 pixels. 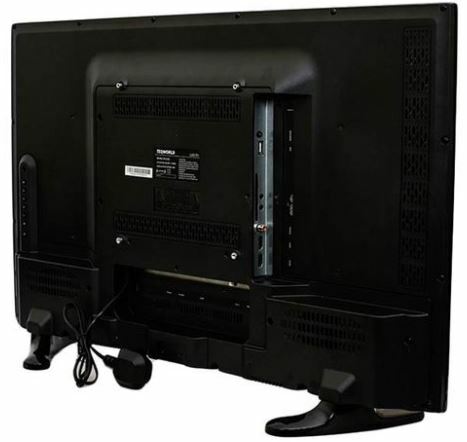 All TVs are digital TVs that allow you t receive digital broadcast signals. With their inbuilt digital tuners, you can watch over 50 local free to air channels. If you are looking for a digital TV in Kenya and don’t want to buy a decoder or even pay monthly TV subscriptions, Teqworld TV is the perfect choice. The TV has a beautiful and appealing super slim design. From any angle, this TV looks perfect and therefore a great addition to your living room. It is also lightweight and can fit in small spaces. The main reason for its super- slim design is that its LED technology is along its edges rather than on its back. They are also designed to support wall mounting. The TV support multimedia connectivity. They have USB, HDMI, PC Audio input, AV ports, coaxial and SCART connector. This enables you to connect to any media device you may have. Additionally, this TV comes with ConnectShare technology. With this technology, all you do is plug and play your multimedia devices. 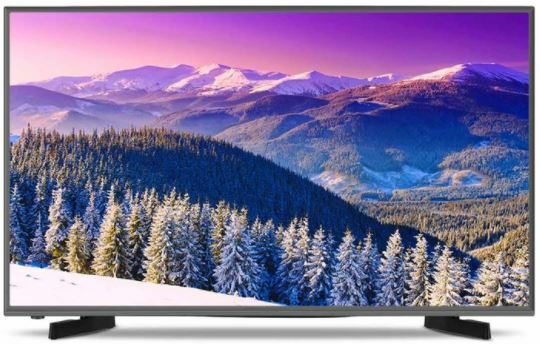 Additionally, this TV comes with a Personal Video Recorder (PVR) where you can record your favorite live TV program into a USB or external memory device to view later. 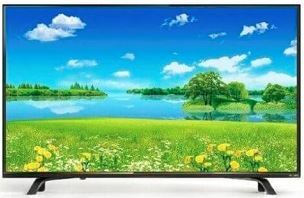 With increased power bills in Kenya, it is advisable to buy an energy saving TV. Techworld TVs have the globally acclaimed Smart Energy Saving Qualification. In short, they use less power and have energy saving features including automatically going on standby when no one is watching. When on standby, the TV has a power consumption of 0.5W. It also has automated power shutdown where by it powers down when no one is using the TV. In 2017, Teqworld TVs were amongst the most sold TV brands in Kenya. Even though one main reason for this could be their pricing, most of its TV reviews in Kenya are positive and point to the fact that the TV is genuine and of high quality. Teqworld TV prices in Kenya are very pocket friendly and you will definitely be getting value for your money.